The following resources are intended to help children further explore the cycle of day and night on Earth and other planets! These activities and materials will enhance the Native American tale of Ant Dances for Light, as told by Dovie Thomason Sickles. After the program, invite the children to retell the Native American story and the science story. This will help them to revisit the content as a flowing narrative, not unrelated facts, and underscore that both stories are a way of understanding our universe. Storytelling will challenge the children to make connections from one piece to the next and help identify where they do not have an understanding of the material. Help the children begin the Native American story, “What was the first thing that happened in the coyote story?” Prompt the children through the discussion by asking, "What happened next?" Help the children remember incidents that are left out or are out of order. You may wish to keep a list of events as the children build the story. Follow the Native American narrative with a discussion of the science story in the same way. You may wish to have the children reenact the story as a play, taking turns as the narrator. They can create songs or dance the stories. Alternatively, invite the children to illustrate each stage of the story and to connect the events in the Native American story to the events in the science story where they can. The Sun is Always Shining Somewhere. Allan Fowler, 1992, Children's Book Press, ISBN 0516449060. Written for young children, ages 4–8, this book explores the Sun as a star and why there is day and night. Why do We have Day and Night. Anthony Lewis, 1996, Heinemann Educational Books — Library Division, ISBN 0600587797. A clear, well-illustrated discussion of day and night cycles for young children ages 4–8. Moon phases and seasons are also presented. Day and Night (Let's Explore Series). Henry Pluckrose, 2001, Gareth Stevens, ISBN 0836829581. The reasons for day and night are presented in easy-to-read text with large print and photographs for young children, ages 4–8. Fundamental concepts of day and night and their effects on people. What Makes Day and Night? Franklyn Branley, 1999, Bt Bound Publishers, ISBN 0808523775. Branley presents an illustrated explanation of Earth's rotation in a straightforward manner for children (ages 7–8). The text includes an experiment to demonstrate the concept of day and night. Beyond the Blue Horizon: Myths and Legends of the Sun, Moon, Stars and Planets. E. C.Krupp, 1992, Oxford University Press, ASIN 0195078004. In this book for adults, Krupp explores how sky lore is woven into civilizations around the world from ancient to modern . Earth, Sun and Moon. (Earth Science-Astronomy Series) Visual Learning Company, 2003, ISBN 1592340555. (http://www.visuallearningco.com/earth-science.shtml#es-astronomy ) The causes of daylight, seasons, and Moon phases are explored in this video for older children (ages 11–14). A teacher's guide is available. Native American Star Tales. Lynn Moroney, Astronomical Society of the Pacific. 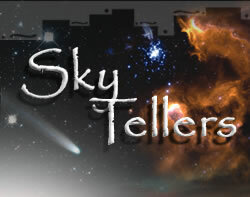 Children and adults will enjoy these audiocassettes of Native American sky legends told by storyteller Lynn Moroney. Space Place of NASA's Jet Propulsion Laboratory provides for children an overview of Earth's rotation and how the period is changing. NASA Kids shares a brief explanation for children of the changing length of days through an exploration of the seasons. Includes an animation of the seasons and vocabulary explanations. The Astronomical Applications Department of the United States Naval Observatory presents a wealth of background information and data concerning astronomical events, calendars, time, Sun and Moon rise and set times, Moon phases, and more for the adult audience. The American Museum of Natural History presents background information, activities, data, and resources for educators to facilitate investigations of the extended length of days in Antarctica. Why does Earth have day and night? Day and night cycles are caused by Earth's spin on its axis. Earth turns or rotates one time every 24 hours. The part of Earth that is facing the Sun experiences day, and the part facing away from the Sun experiences night. As Earth spins counterclockwise (viewed from above the North Pole) the region of daylight moves across the globe from east to west. Do other planets have day and night? All the planets in the solar system spin on their axes (so does the Sun!) and so they have day and night cycles. There are differences, however, in the length of day and night. Some planets rotate faster than Earth and some rotate slower. Mars has a day/night cycle similar to Earth. Mars rotates on its axis once every 24.6 hours. Venus turns once on its axis every 243 Earth days (which is a little longer than it takes for Venus to go around the Sun!). The larger planets spin much faster. Jupiter rotates once every 10 hours, Saturn spins once every 11 hours, and Neptune completes a rotation in 16 hours. Pluto, at the farthest reaches of the solar system, spins on its axis once every 6.4 days. Why does Earth's day length change during the year? Every location on Earth experiences an average of 12 hours of light per day, but the actual number of hours of daylight on any particular day of the year varies from place to place. Locations around Earth's equator receive about 12 hours of light each day. In contrast, the North Pole receives 24 hours of daylight for a few months in the summer and total darkness for months in the winter. These two annual times of light and dark are separated by a long sunrise and a long sunset. Earth rotates on its axis; this causes us to experience day and night. But Earth's axis is tilted 23.5 degrees (the angle is measured between Earth's equatorial plane and the plane in which it orbits the Sun). As Earth revolves around the Sun, the axis points toward the same location in space, almost directly toward Polaris, the North Star. This means that during our movement around their Sun each year, our polar regions spend long periods pointed toward the Sun in the summer (for example, July in the Northern Hemisphere, or December in the Southern Hemisphere) and long periods pointed away from the Sun during the winter. At latitudes greater than 66.5 degrees (90 degrees minus 23.5, the tilt of the axis), the regions above the Arctic and Antarctic circles on our globe, days of constant darkness or light can occur. Because of this tilt and our movement around the Sun, there is a time when Earth's North Pole is tilting 23.5 degrees toward the Sun. This is the Summer Solstice, the first day of the Northern Hemisphere summer and the longest day of the year in the Northern Hemisphere. On December 21 or 22, our North Pole is tilting 23.5 degrees away from the Sun and the South Pole is tilted toward the Sun. This is the Winter Solstice, the shortest day of the year in the Northern Hemisphere. Twice each year, during the Equinoxes (“equal nights”), Earth's axis is not pointed toward the Sun. The Spring Equinox in March marks the beginning of the transition from 24 hours of darkness to 24 hours of daylight at the North Pole. The Fall Equinox in September marks the shift into 24 hours of darkness at the North Pole. During the Equinoxes, every location on Earth (excluding the extreme poles) experiences a 12-hour day time period. Other planets also experience these changes in the length of day and night because they, too, are tilted on their axes. Each planet's axis is tilted at a different angle. Jupiter is tilted only 3 degrees, so its change in the lengyh of day and night as it moves around the Sun is less extreme than that of Earth. Neptune's axis is tilted 30 degrees; day and night changes would be more extreme on Neptune than on Earth. Uranus presents an interesting case because its axial tilt is even more extreme, 98 degrees! This means that the north pole of Uranus is pointed at the Sun during the north polar summer; the south pole is in total darkness. During the north pole winter, some 42 Earth years later, the south polar axis points at the Sun and the north polar region is in total darkness. During the spring and fall, when its axis is perpendicular to the incoming rays of the Sun, Uranus experiences a 17-hour day and night cycle as it spins on its axis. Good news for overachievers: Earth's days are getting longer! Researchers examining ancient corals noted that annual growth patterns suggested there were more days in a year in Fossil corals from the Devonian Period (380 million years ago) recorded 400 daily cycles. About 290 million years ago in the Pennsylvanian Period, there were 390 daily cycles each year. Assuming that Earth's revolution around the Sun has not changed dramatically, this means that the number of hours per day has been increasing and that Earth's rotation has been slowing. Today, the length of a day is 24 hours. During the Pennsylvanian Period a day was ~22.4 hours long. In the Devonian Period, a day was ~21.8 hours long. Earth's rotation appears to be slowing approximately 2 seconds every 100,000 years. Why are Earth days getting longer? Some scientists suggest that tidal cycles create a “drag” on Earth, causing it to slow down.